You are here: Home » Have Earth Day Year Round In Your Kitchen From LiveESP.com (Exclusive Discount)! Have Earth Day Year Round In Your Kitchen From LiveESP.com (Exclusive Discount)! So we’ll take our own advice and use our voice to tell all of our ChefUniforms.com fans about one of our favorite companies, Essential Safe Products (LiveESP.com). 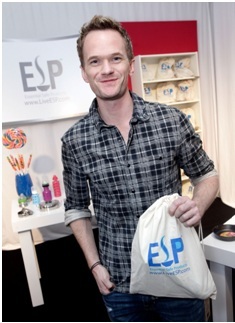 ESP is a website committed to healthy lifestyles and a healthy environment. On their site you can find tips and tricks on how to avoid exposure to toxins in food and drink and purchase kitchen and on-the-go products that are non-toxic and food safe. Our favorite items around the halls of the office are the reusable glass water bottles and stainless steel straws. They make Earth Day a YEAR ROUND mission (and were featured at this year’s Grammy’s and in the Oscar’s gift bags, so we think they’re pretty cool for that too!). They’re generously giving our ChefUniforms.com Facebook fans and blog followers 10% off of their entire order from now until 4/30/12; just enter EARTH at checkout for your exclusive savings! ← Happy (and Safe) Friday the 13th!